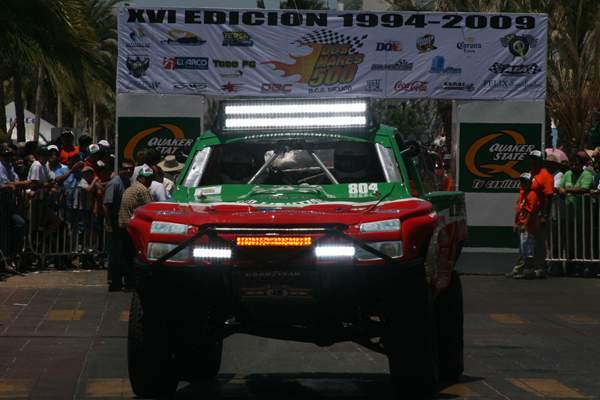 Mesa, AZ – Rigid Industries new Amber E-Series LED led the Bradley Racing Class 8 truck to a first place finish in the Dos Mares 500 held in La Paz, Mexico. The Dos Mares 500 has a long history in Baja California Sur desert offroad racing and if the grueling course wasn’t enough of a test, heavy dust at night was. 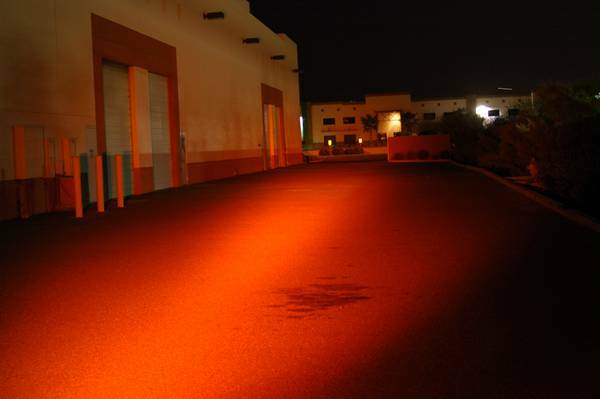 The new amber light is the newest addition to the E-Series family of LEDs made by Rigid Industries. The E-Series Amber LED shines just as far as the regular E-Series LED, but in an amber color to reduce the glare from dust or fog. E-series LED lights are available in 20, 30, 40, 50 and 60 inch lengths and just like all E-Series LEDs, the new Amber series is one of the toughest and most dependable LED lights on the market. Whether you drive a UTV in the fog at Pismo, a sand car in the dust in Glamis or a Class 8 truck in heavy dust during the Dos Mares 500, the E-Series Amber LED from Rigid Industries will help you navigate through the low visibility conditions. As the manufacturer of the E-series LED light bars, the brightest and most efficient LED light, Rigid Industries has raised the bar on lighting technology for off-road vehicles. Rigid Industries is located in Mesa, Arizona and can be reached by phone at 480.655.0100 or on the internet at www.rigidindustries.com.